With the Bestway Hydro-Force Flowclear Chlorinator you can say goodbye to chemicals in your pool. The Hydro-Force Flowclear Chlorinator works with oridinary salt (as long as it's white salt 99.8% pure) and produces up to 12 grams of pure chlorine per hour providing you with clean, clear pool water that will not irritate your skin or eyes. 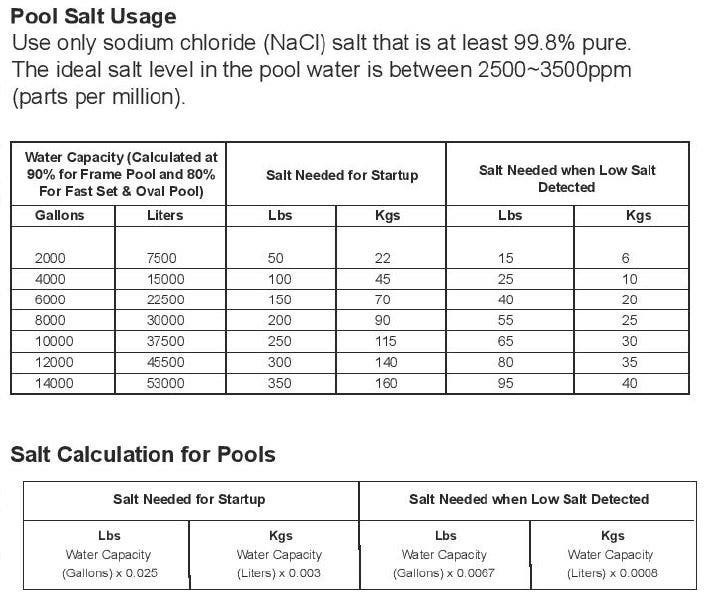 The Hydro-Force Flowclear Chlorinator is able to separate the salt into the two basic elements of sodium and chloride. Used daily as part of the filtration cycle, the pool water filters through the chlorinator's electrolytic cell producing chlorine and instantly dissolves into the water, which destroys bacteria and algae on contact and oxidizes other materials. This Chlorinator comes with a 12 month manufacturer's warranty.